A brooder more like a mother hen. Radiant heat is far more efficient then a 250 watt heat bulb and its safer too. 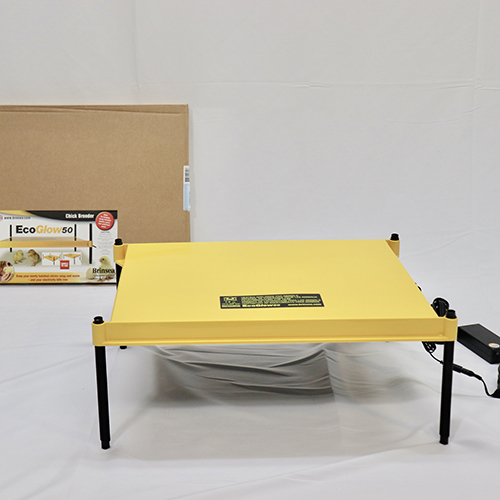 Brooder should be adjusted so chicks or ducks can just get under the plate for warmth. 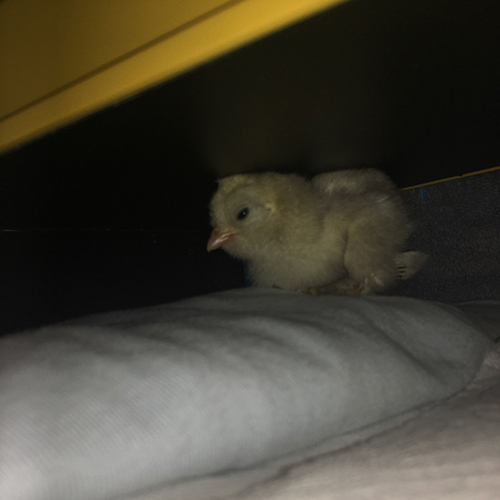 When they warm up they go back to eating/playing/just being chicks. 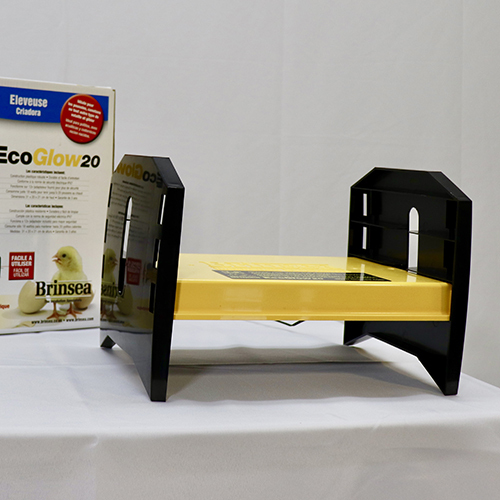 EcoGlo 20 is suitable for 15 chicks. EcoGlo 50 is suitable for 40 chicks. How long is the cord? What are the safety instructions- over straw? How large an area from other objects? The brooder runs from 12 volt adapter (supplied), uses 18 watts of power. The adapter cord is approx 5 ft long, the power cord from adapter to outlet is approx 6.5 ft long. Do NOT cover the brooder panel in any way. This may cause it to overheat. Do NOT allow the legs of the brooder to sink into deep litter. The brooder panel is supplied with 4 adjustable legs to allow use at a wide range of heights. Three height settings for different sized chicks. Room temperature should not drop below 50 F at night. How much electricity does ecoglow 20 use? What size is it? Runs from 12 volt adapter (supplied), uses 18 watts of power. Dimensions: 8.3" H X 8.1" W X 12.6" long. What is the power source? Is it safe to set in wood shavings? Runs from 12 volt adapter (supplied), uses 18 watts of power. Do NOT cover the brooder panel in any way. This may cause it to overheat. Do NOT allow the legs of the brooder to sink into deep litter. The brooder panel is supplied with 4 adjustable legs to allow use at a wide range of heights. Room temperature should not drop below 50 F at night.